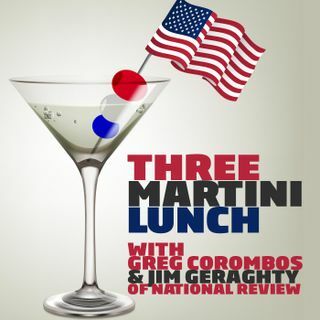 Jim Geraghty of National Review and Greg Corombos of Radio America welcome reports that Senate Intelligence Committee Republicans and Democrats agree that there is no direct evident showing a conspiracy between the Trump campaign and Russia in 2016. They also shudder for GOP Senate prospects in 2020 as astronaut Mark Kelly, husband of former Rep. Gabrielle Giffords, announces he will run against Arizona Sen. Martha McSally next year. And Jim sounds off on the insincere apologies offered by ... See More the likes of Virginia Gov. Ralph Northam and Minnesota Rep. Ilhan Omar.